You may not think much of the grace period offered by credit card companies or even know about it. If used correctly though, it basically allows you to take out a short-term, interest-free loan. Over and over again. How? Simple. The grace period is a period of time between the end of a billing cycle to the next payment due date. If you charge spends to your card during this period and pay the complete balance ahead of the due date – guess who earns zero interest on their credit card. And we’re talking – always. Should you not be in the mood to rack up interest or pay fancy finance charges, make sure you cover the balance amount in full before it’s even due and just see your finances soar. Grace periods usually last anywhere from 21 to 25 days in Singapore. If you never read your credit card agreement to find out when your grace period begins every month, you will be disappointed by the amount of interest and penalty charges you will be racking up for no reason. Just look for the section that provides details on how charges on your account are calculated, and see for yourself how much meaningless moolah is charged to your account every month. The majority of credit cards in Singapore offer interest rates ranging from 24% to 26%. 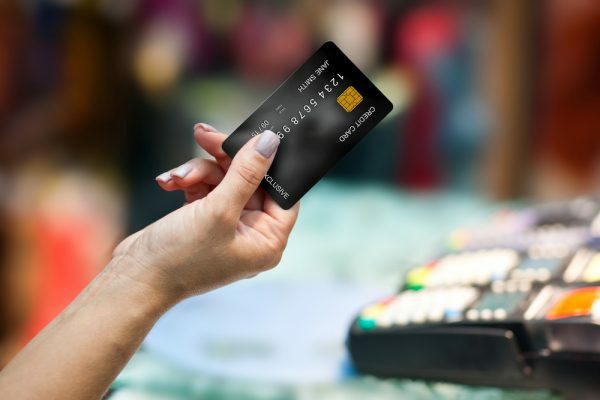 Credit card interest rates may jump from 24% to 28% APR (Annual Percentage Rate) or higher when you fail to pay off your balance on time – when it is officially due. The full payment due before the next statement date is: Before 1 April 2018. The 3 weeks or so you have between 1 March 2018 and 22 March 2018 is known as the grace period. After this date, interest is charged until the full payment is made, if it is made at all. Interest accrues ridiculously fast after the grace period, should there be a balance on the account, since the complete balance amount was not paid in full. Finance charges are then added to your account to make it even harder on you, since you have demonstrated that you have no real regard for meeting your financial obligations to the bank. Just saying. Want to avoid getting into credit card debt for life? All you need to do is to get into the habit of paying off your outstanding balance in full each month so that every following month starts off with a S$0 balance. You should also keep in mind that not all transactions on your credit card are the same. Balance transfers and cash advances do not have grace periods and accrue interest immediately. You will have to pay a late fee on top of the interest you are already paying on your outstanding balance amount. Your interest rate may go up, to 29.99% or even higher, to compensate for the payment that wasn’t made, or came in past due. This means it will take even longer for you to pay off your debt. You will lose any rewards and points accumulated on your credit card as it is no longer in good standing. You may also lose any promotional rates for the same reason. Not only will the credit bureaus be informed of your delinquency if your payment is more than 30 days late, but your credit score will also be negatively affected and take a plunge. To avoid paying late fees and penalties on your credit cards, ensure you make it easy to make the payments in the first place using payment alerts, setting up automatic payments, or even setting up a designated date to pay all your bills. Should you decide to make automatic payments, do ensure you are able to make the minimum payment and that there is enough money in your bank account to do so. In the case that there are insufficient funds, not only will you have to pay a fee for returned payments, but you may even push your payment past the official payment due date and earn additional late fees. So, how does one go about reversing late fees and penalties on their credit card account? If you are rarely late on your payments, call up your credit card issuer and ask that your fee be waived. If your payment was so late that it affected your credit report, again request your card issuer to remove it – provided your account is otherwise in good standing. You should explain why the payment was late, and refer to your good credit history otherwise, to strengthen your case. If your late payment has brought about a penalty interest rate, go ahead and ask the issuer to determine if you can return to your original rate by reviewing your account in a few months’ time. That is, once you make all the other payments on time in the interim. Financial institutions review your payment history when trying to determine your credit risk and whether to approve you for credit. A long history of payments made on time would suggest that you are a responsible borrower and a safe bet to lend to. Conversely, a poor history of late payments would suggest that you may not repay your debts and cause losses for the bank/issuer. Simply put, not being responsible with your credit card payments will pose as red flags to financial institutions and is also most likely to throw you further into debt. To avoid getting into debt in the first place, take advantage of the grace period offered.